It's a miracle that any of us raised in the 40's and 50's lived to tell the tale. We biked without helmets, skated without knee pads and rode shotgun without seat belts. Folks were not yet health conscious and, unless your mother was a dietician, pantry shelves sagged under the weight of newly introduced dips, chips and spreads. Casseroles ruled the day and a quick dinner of hot dogs and chips was not unusual. 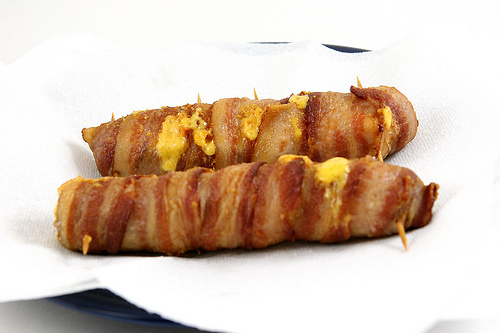 One of the treats of the time was a cheese stuffed hot dog wrapped in bacon. 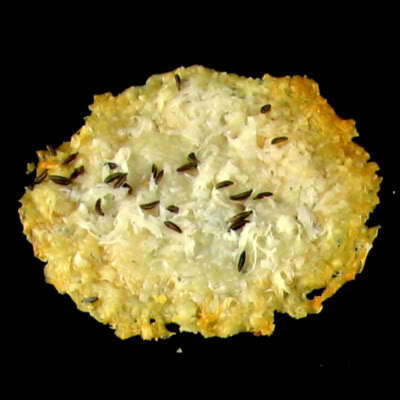 When I stumbled on a recipe for them written by Emeril Lagasse , I really had to laugh. The lowly hot dog had come full circle. As bad as these might be for you, they are delicious, and had Proust sampled one, culinary literature might forever have been changed. 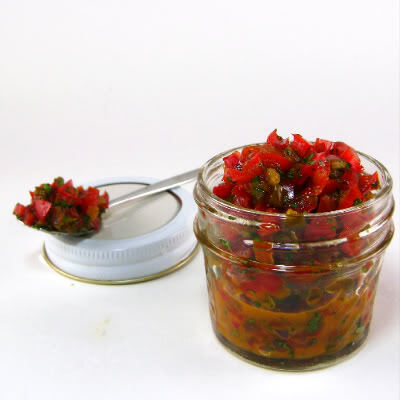 Over the next few days, folks are going to consume a lot of hot dogs, so, I thought this would be a good time to share some recipes for condiments to serve with them. 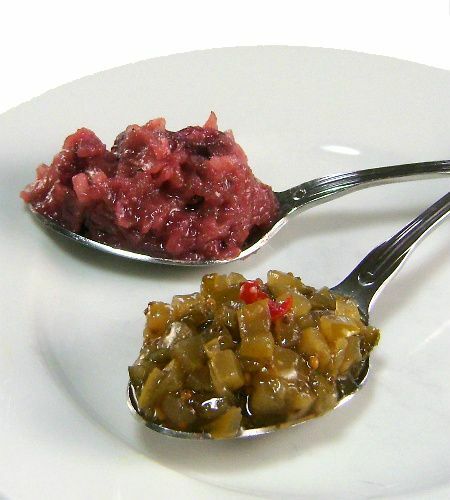 As it happens, I have two recipes for relish that I think you'll enjoy. They are easy to make and will allow you to put your own stamp on the hot dogs you serve this holiday weekend. Here's how they're made. 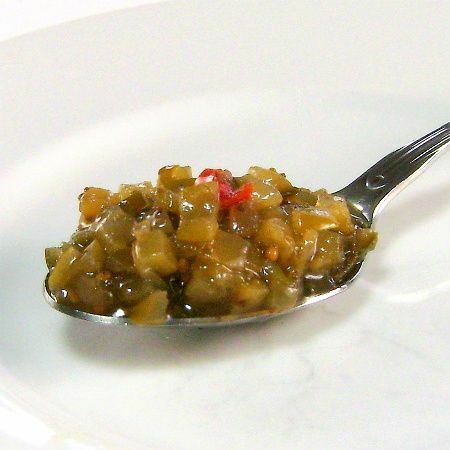 In a small saucepan, saute onion in oil until tender. Add cranberry sauce, mustard, sugar, garlic powder and pepper sauce. 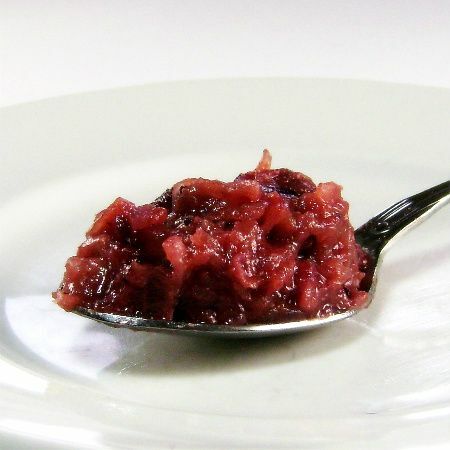 Cook and stir for 5-10 minutes or until cranberry sauce is melted. Add sauerkraut; heat through. Cool to room temperature. Refrigerate Yield: 1-1/2 cups. Combine all ingredients, stir and serve with hot dogs or hamburgers.